For your New Year’s resolution, why not set a goal to network with other writers? It can be invaluable to know fellow freelancers. You can commiserate with them, share knowledge and help each other out in a variety of ways. Sometimes networking involves getting all gussied up and going to the latest writing soiree, but other times you can network from the comfort of your own home without changing out of your pajamas. Make it one of your resolutions to branch out and meet other writers to build mutually beneficial relationships and perhaps make a few new friends. Whether you live in a large metropolitan area or a small town, chances are there are other writers nearby. These writers could be reporters for the local newspaper, professional copywriters, magazine freelancers or hobbyists who spend their free time writing romance novels or biographies. How do you find these mysterious local writers? If you are associated with any local publications, try and reach out and meet other writers for the same publication. If the publication hosts any kind of get together or gathering, be sure to go and see who you can meet. Writing groups are another way to meet local writers. In larger communities, you may find professional networking groups just for writers, and even some that specialize in certain genres of writing. You may also find recreational writing groups where people gather together to work on their novels and critique each other’s storylines and character profiles. Go where the writers congregate, whether it’s a local book signing or author talk or the local writing conference. Volunteering to help at these events is another way to get to know fellow writers and become a part of the local writing scene. If you don’t know any local writers, MeetUp groups are a great way to meet a few. And if the group you’re looking for doesn’t exist, why not create it? While it’s wonderful to meet as many local writers as possible, many writers also find it beneficial to network on a regional, national, or international scale.. If you belong to a professional writing association, be sure to attend the meetings, join forums and look for opportunities to become involved and meet other writers. Attend annual conferences and consider becoming an officer or committee member to form working relationships with others in your field. Online groups are another fantastic way to meet fellow freelancers. 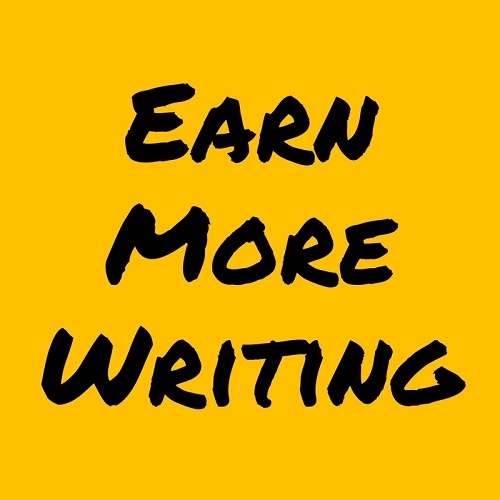 Facebook offers numerous writing groups, including many in specialized areas of writing. For example, if you’re looking to network with other technology writers, do a bit of searching and you’ll likely find a few groups to choose from. Whatever group you join, be sure to be involved to reap the benefits. If you join a Facebook group but never log in to Facebook or never comment with suggestions on people’s posts or respond to pitch calls, you likely won’t gain much from your affiliation. Likewise, if you join a professional association but don’t attend conferences or use the resources available, it might not be a very beneficial experience. But if you do get involved, you may find your career growing rapidly. Now that you’ve made your contacts in the writing world, what do you do next? First, look for ways to help your network out. If you see an opportunity that would be perfect for a writing friend, pass it along. If you hear a colleague’s dream publication has put out a call for pitches, be sure to let them know. If someone is wondering how to pitch a publication you’ve worked with in the past, why not offer a few tips? The more you help your fellow writers, the more likely they are to reach out and help you in return. Knowing good, dependable writers can also be very helpful when your workload gets to be too much. If you end up with more work than you can possibly do, consider referring a trusted freelancer friend to your client. They may do the same when they’re slammed and you’re in a slow period. Having someone to bounce ideas off or a second pair of eyes on a manuscript can also be invaluable. Networking can help you find great editing buddies. But, as with any new relationship, you’ll want to be sure to build the relationship gradually over time. You don’t want to overwhelm a new writer friend by calling twice a day. Instead focus on building a steady relationship and growing your circle of writing colleagues. However you build these writing relationships, you’ll be happy to have them in the new year and beyond. What does it mean when the submittable option for your account reads “Withdraw”? I am a regular reader of “The Write Life” and see this as a question for you. I have written as freelancer for 3 years. I like such work. I don’t need to stay same place for long time because I can even travel while work.